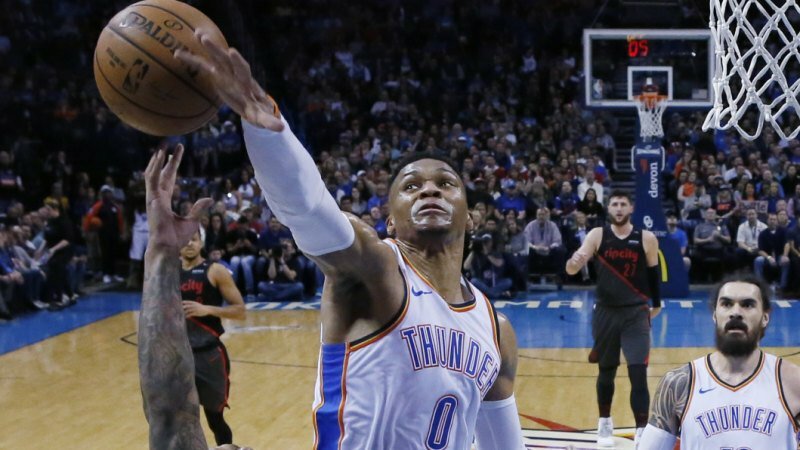 He clinched the record on an assist to George for a three-pointer with 3:52 remaining in the fourth quarter for his 23rd triple-double of the season and the 127th of his career. He's now just one game from tying Chamberlain for the second-longest streak of 30-point games in NBA history. Chamberlain also holds the top 30-point game streak with 65 in a row. The New York Knicks made an ignoble bit of history when their late comeback fell short in a 107-104 loss at the Cleveland Cavaliers, with Australian guard Matthew Dellavedova landing 12 points for the victors. The Knicks have lost 17 straight games – the longest single-season losing streak in franchise history. The Indiana Pacers beat the Charlotte Hornets 99-90, the Detroit Pistons got past the Washington Wizards 121-112 and the Minnesota Timberwolves closed out the Los Angeles Clippers 130-120.